Three distinct fabrics set off this shoe for great style and comfort. Closed toe with lace mesh trimmed in an off set leather crossing the ankles in just the right place. 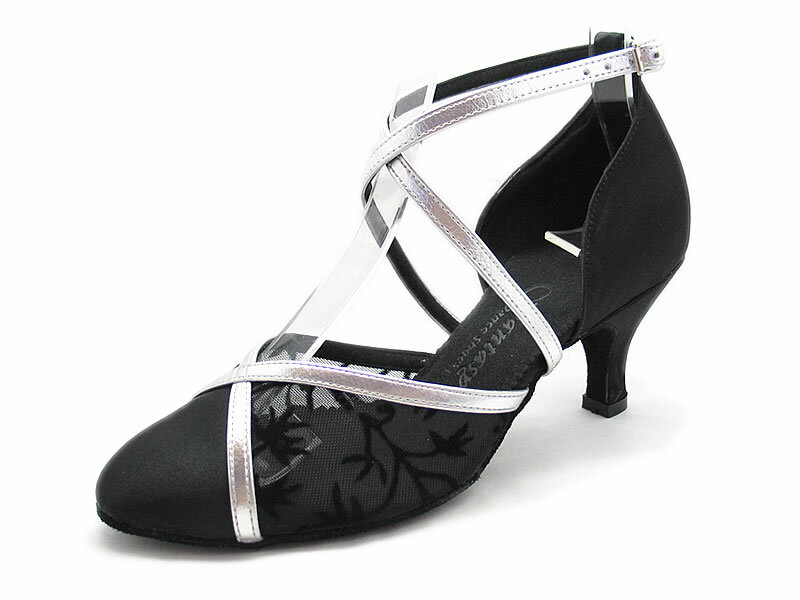 Picture shows in black satin(D4) + silver PU trim + black flower mesh with 2 1/2"s heel.